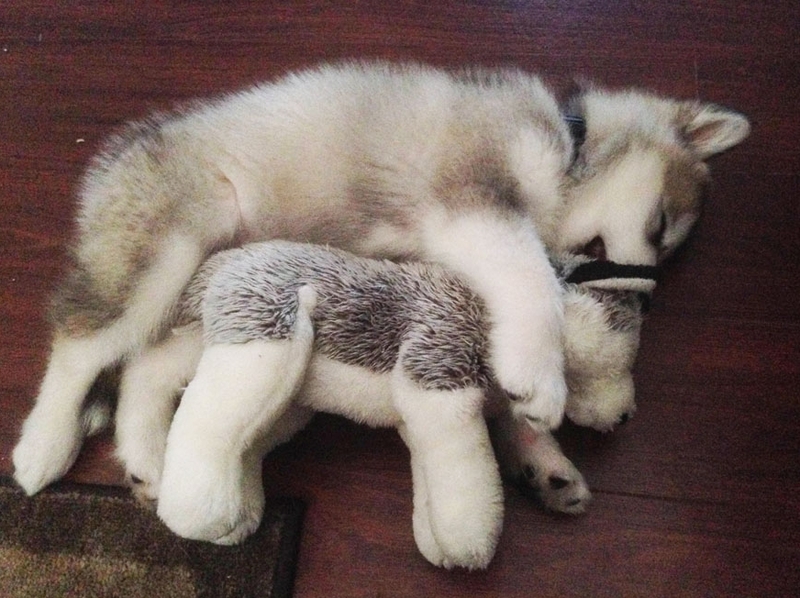 White Wolf : Alaskan Malamute destroys every toy, except the one that looks just like her! Alaskan Malamute destroys every toy, except the one that looks just like her! Every dog has one toy that they adopt as their favorite. It's usually slobbery, dirty, crusty, sloppy and barely recognizable, which makes it the most priceless thing in the world (if dogs understood the concept of currency). 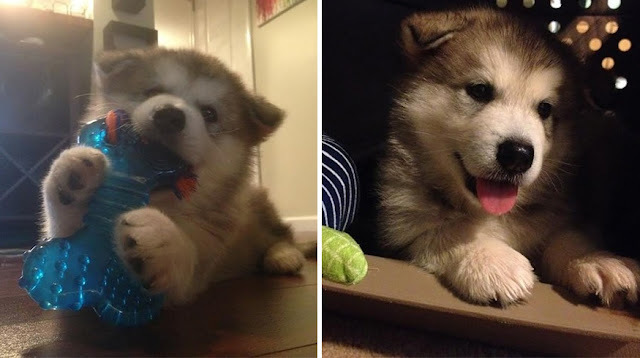 Luca the Alaskan Malamute has one such toy, and it's made even more adorable by the fact the toy looks just like her. 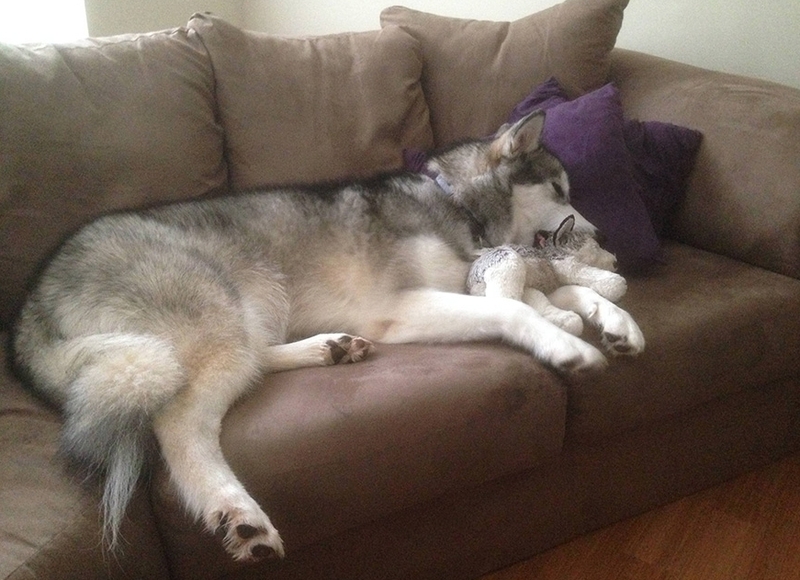 Luca's owner Karissa Lerch told HLN she initially got the stuffed toy as a stand-in for a real dog. A few years later, when Lerch was finally able to get the dog of her dreams, it seemed natural to introduce the little fluffers to each other. Of course, one grew. A LOT. And the other, well, it's pretty obvious it has been vigorously loved. "She has kept it by her side ever since," says Lerch. 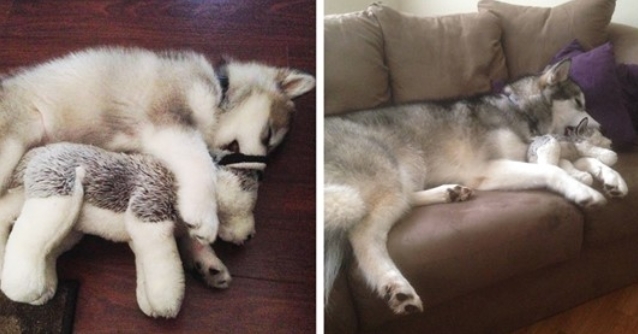 "She is the most cuddly loving dog you'll ever meet." 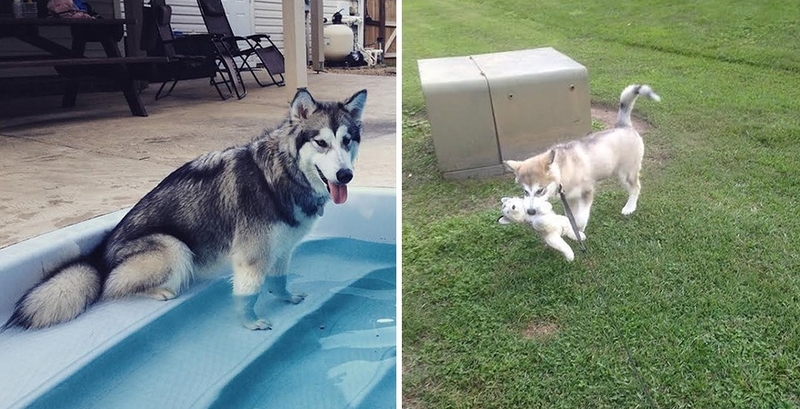 Lerch says she and her boyfriend have plans to add to their canine family, which may mean another stuffed doppelganger -- and years of gross, wonderful doggie cuddles. 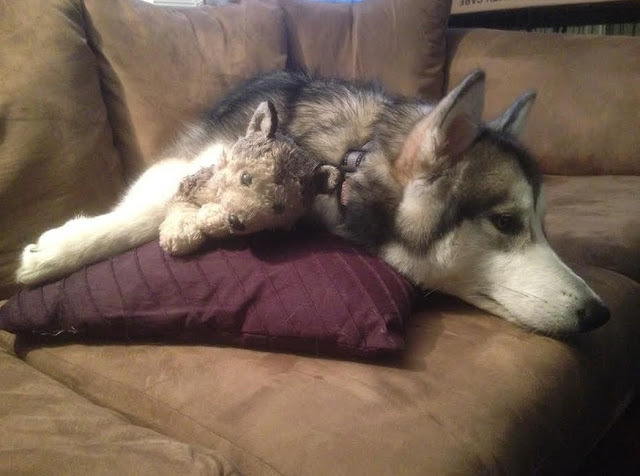 Responses to " Alaskan Malamute destroys every toy, except the one that looks just like her!" Well, that is just the sweetest! I have a golden retriever and she had a special teddy bear and now it is her favorite toy even tho it is only a half body and a arm! She loves it still! Great pictures! Sweet!